Lives in and around clear, cool streams, creeks and springs. 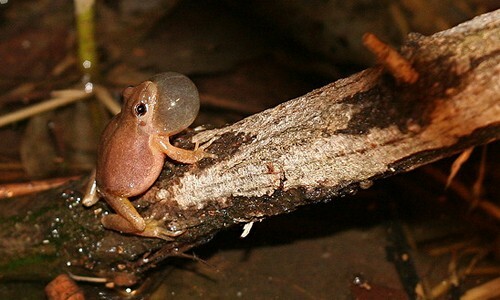 Typically found on land in summer, hiding under rocks, logs, bark and moss in wooded areas, but also burrows under sediment or leaf litter at the bottom of streams, particularly in winter. Found throughout most of the Chesapeake Bay watershed, from southern New York to Virginia. In the Blue Ridge Mountains, a smaller, similarly colored subspecies (the Blue Ridge red salamander) is more dominant. This salamander has a red or reddish-orange body with rounded, irregularly shaped black spots scattered across its back. Its grows to 4 to 7 inches in length and has smooth, scale-less skin. It has yellow eyes. Its front limbs have four toes while its hind limbs have five toes. 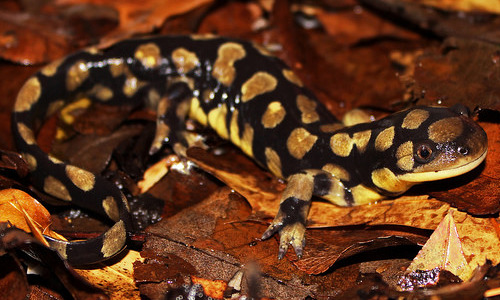 This salamander eats worms, insects and spiders. It hunts for prey during and after rain storms, especially at night. 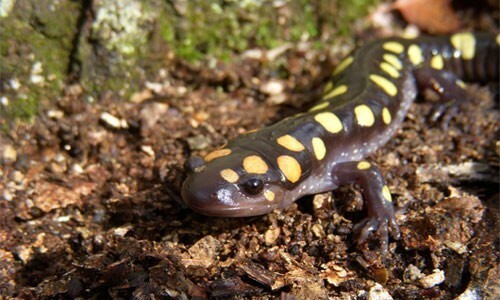 Skunks, raccoons and woodland birds prey upon red salamanders. Courtship between males and females begins in spring and continues through autumn. Around October, females lay an average of 70 eggs in hidden areas in and around streams. The eggs attach to the underside of rocks by a jelly-like stalk. Eggs hatch in early winter. Young salamanders remain in a larval stage for 2 to 3 years, living in small, rocky streams and cool, still ponds. Northern red salamanders can live up to 20 years. The largest northern red salamander ever discovered measured 7 1/8 inches long. A salamander’s projectile tongue can extend and return to its mouth in just 11 milliseconds. Salamanders are excellent indicators of stream health, because they are very sensitive to stressors such as pollution, deforestation, stream erosion and mine drainage.